I knew I needed a card for a male friend for this week and, to be honest with you, I thought I had one. But, when I checked the only male cards I had were for sportsmen, one of a lad playing football and the other one playing golf, and this friend is not into sport. I had to get the my card into the post and did not have a lot of time to make a card. 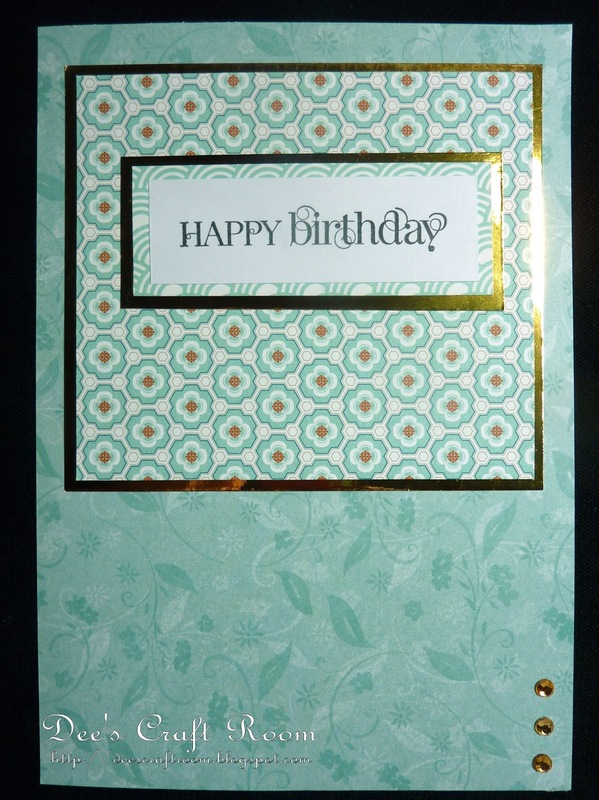 So I set about making a very simple, quick card and this is it, not bad for the amount of time I spent making it! 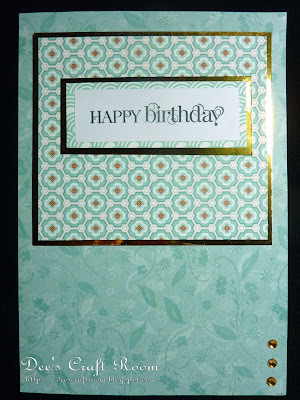 The papers are by Papermainia and Stampin' Up and the stamped sentiment is also from Stampin' Up (I love this Happy Birthday stamp). Both the gold mirri and the gold flat backed gems are from my stash. Brilliant male card! Loving the papers mixed with the mirri card and the sentiment is beautiful too. I really like what you do Dionne!